At present Russia plays the leading role in the use of atomic icebreaking fleet to provide shipping in the Arctic and other freezing seas. 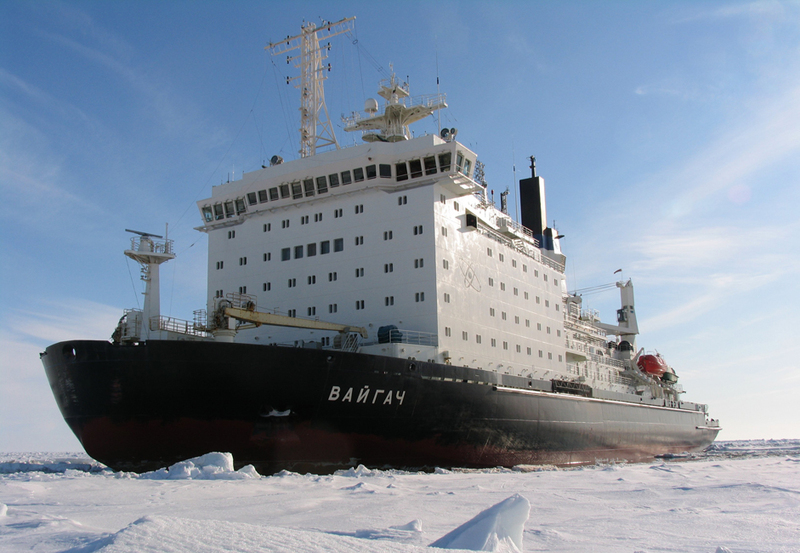 To successfully operate in the Arctic Russia is constantly developing and improving atomic icebreaking fleet which represents the key element of the Northern Sea Route infrastructure. Federal State Unitary Enterprise «Atomflot» is established to provide technological service and maintenance of nuclear-powered icebreakers and special fleet. In 2008 FSUE Atomflot joined State Atomic Energy Corporation Rosatom according to the Order of the President of Russian Federation. Atomic icebreaking fleet has been providing regular shipping of Russian and foreign cargoes along the Northern Sea Route since 1959. 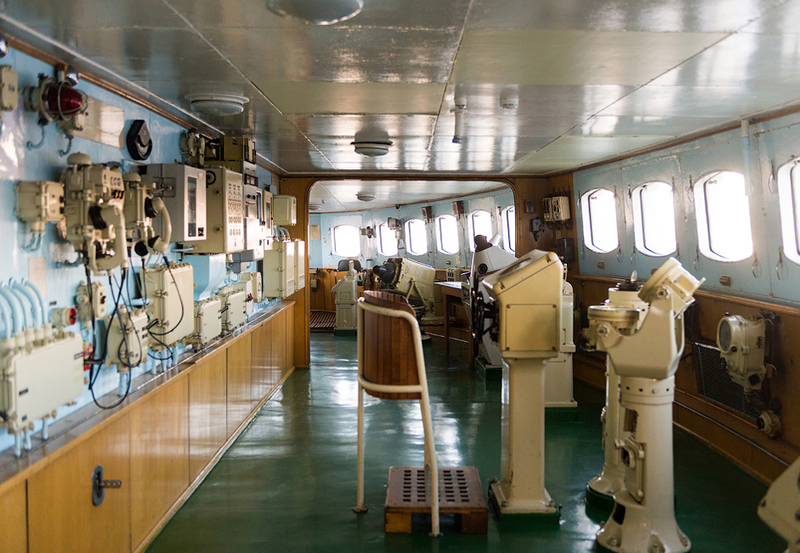 The acting fleet includes four atomic icebreakers with two nuclear reactors 75 thousand horse power strong – “Rossiya”, “Sovetsky Soyuz”, “Yamal”, “50 Let Pobedy”, two atomic icebreakers with a single reactor power plant 40 thousand horse power strong – “Taymir” and “Vaygach” and atomic lighter “Sevmorput”. The maintenance fleet includes two floating technical bases – “Lotta” and “Imandra”, “Serebryanka” for shipping liquid radioactive wastes, vessel of dosimetric control “Rosta-1”. 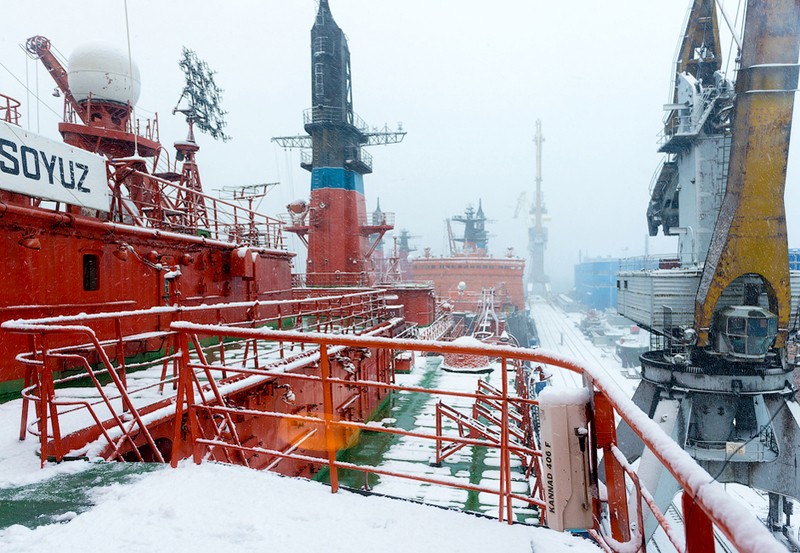 Three nuclear icebreakers – “Lenin” and “Sibir” , “Arktika”– and two floating technical bases – “Lepse” and “Volodarsky” – are out of commission. 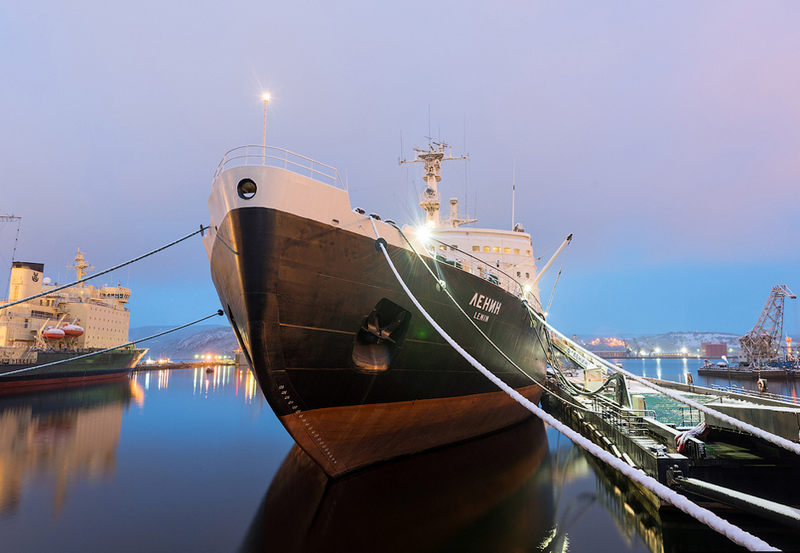 Atomic Icebreaker “Lenin” (First in the Arctic – first in the world). Atomic icebreaker “Lenin” was the first civil vessel to have a nuclear power plant. That is why all her achievements since commissioning and up to the new generation atomic icebreakers were unique and some of them remain unsurpassed to the present moment. “Lenin” was commissioned on December 03, 1959. 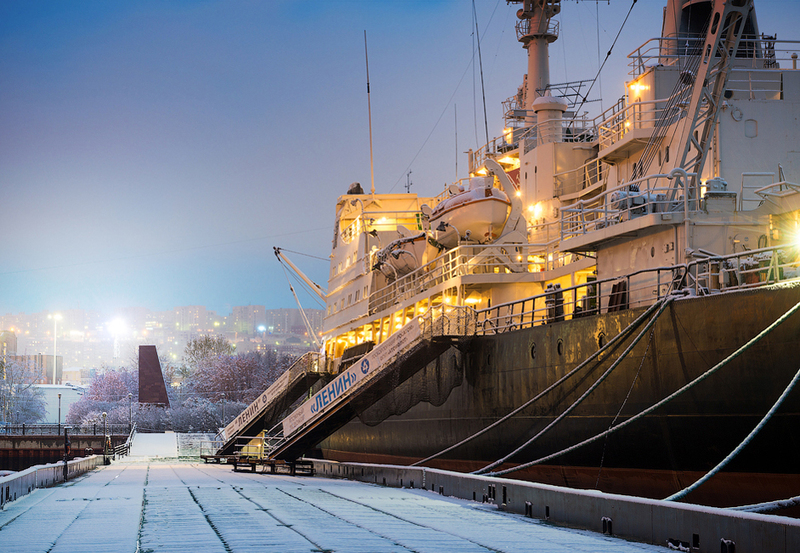 The atomic icebreaker “Lenin” became a true forge of professionals for the whole atomic fleet. 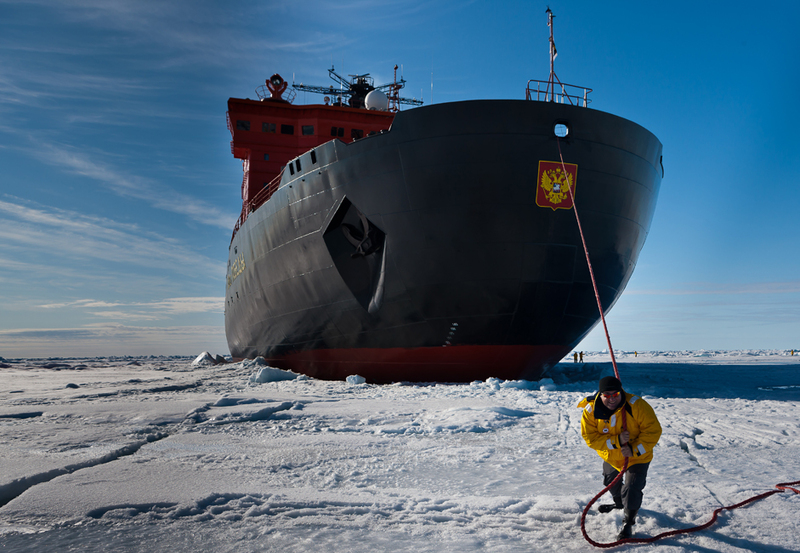 1327 specialists were trained on board the icebreaker during the first 20 years. 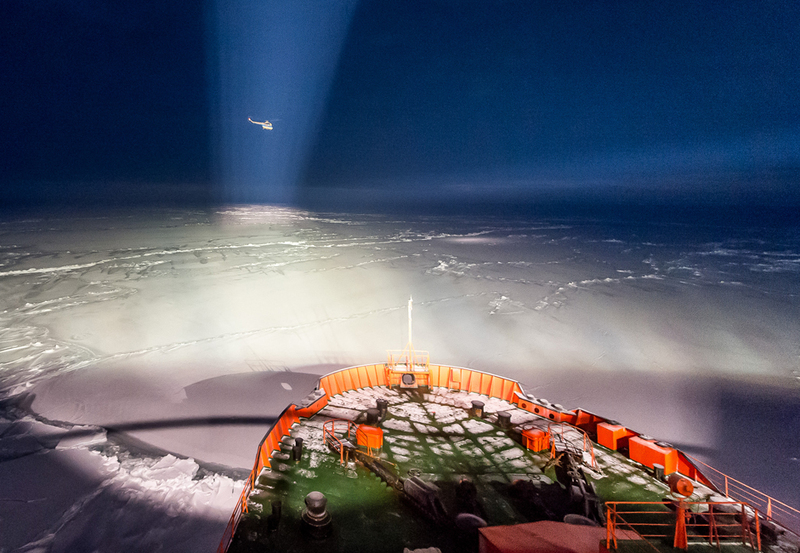 Atomic Icebreaker “Arktika” (Destination – North Pole). On August 17, 1977 icebreaker “Arktika” was the first to reach the North Pole sailing in ice on her own. The dream of many seafarers all over the world came true. 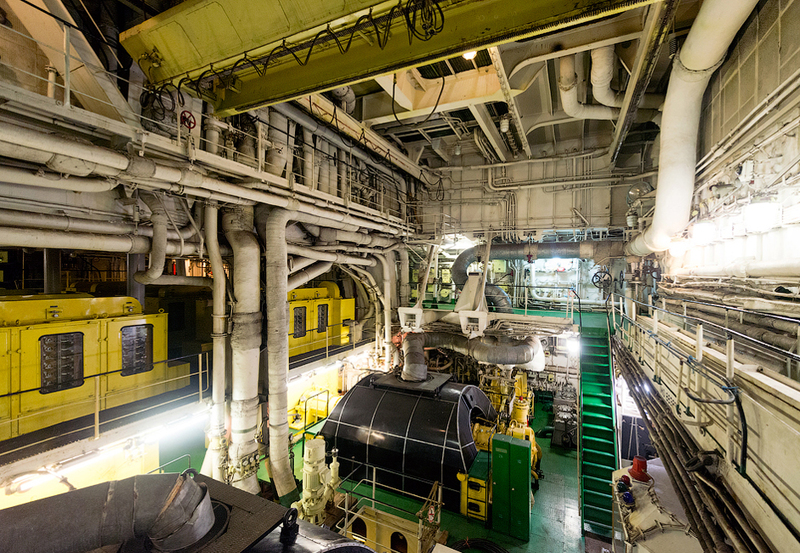 The task comparable to the man’s travel to space was successfully completed by the crew of the icebreaker with the most powerful, effective and clean power plant assembled of two atomic reactors. Atomic lighter and container carrier “Sevmorput” ( A unique atomic cargo vessel). This cargo vessel with a nuclear power plant was not the first one, but she is the only operational atomic transport vessel at present. The predecessor of “Sevmorput”, US atomic cargo and passenger vessel “Savanna”, was converted into a museum. German cargo vessel “Otto Hahn” lost the status of atomic vessel for the reason of being economically inefficient. Atomic Icebreaker “Yamal”. 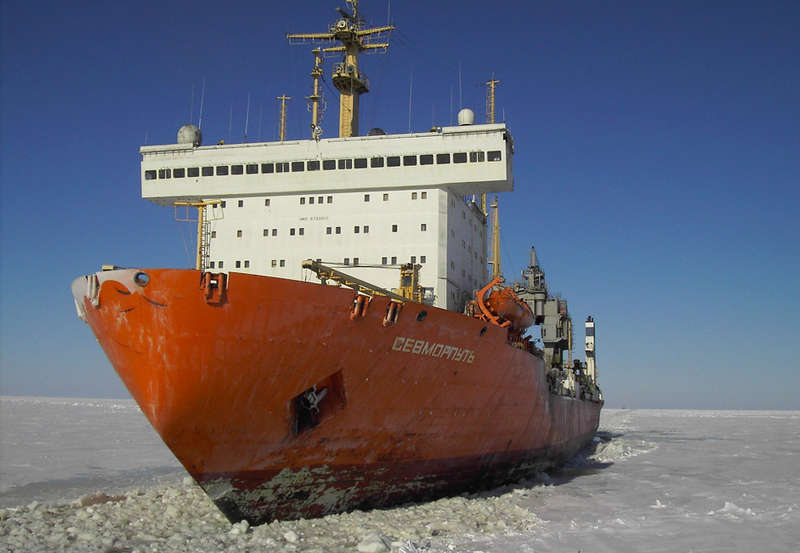 The icebreaker remains afloat with any two compartments flooded thus meeting the requirements of Russian Maritime Register of Shipping. There are 155 cabins for the crew: 11 block-cabins for senior officers, 123 single cabins, 17 double cabins and 4 six-bed cabins that altogether can accommodate 189 people. 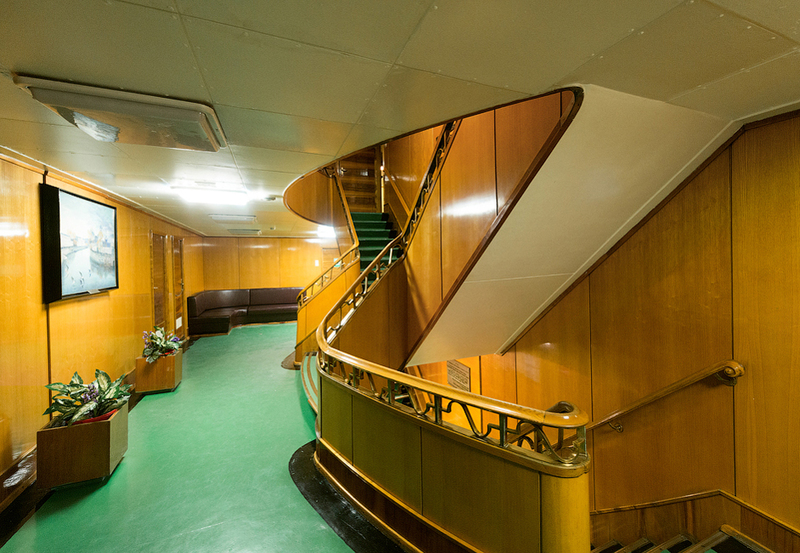 To provide space for meals, rest and entertainment of the crew the icebreaker has a canteen for 84 people, mess-room for 88-90 people, club for 108 people and 3 rest saloons.